Hosted cloud-based PBX systems from G2Connect mean your business can move away from traditional in-house telephone lines and communicate better than ever from just their smartphones – an ideal solution if you want to lower communication costs while still benefiting from advanced features such as call recording and personalized on-hold music or marketing messages. 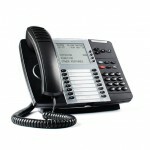 If you are thinking of buying a traditional phone system, you will need to think about buying a phone for each employee. If you have a small business with a handful of employees, then there is no reason why you can’t just buy the same setup that you would use at home. If you have lots of extensions for your employees, then you will need to look at a PBX or Private Branch Exchange, which will co-ordinate all incoming and outgoing calls, help to make transfers and manage voicemail on different extensions. 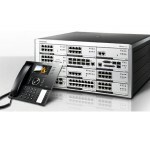 A PBX used to be a wall-mounted box that each phone line plugged into, but G2Connect can make these virtual as well, offering the same functionality as hardware did. A VoIP system works by transmitting the phone audio over the Internet, so it is important to make sure that your VoIP phones don’t use the same connection for the Internet otherwise if multiple people are online at once, this can caused garbled or dropped calls. The number of lines you would need is based on how many people you expect to be using the system at the same time. For example, a two person organisation will be likely to only need two lines, a 10 person organisation will generally need five to seven lines, and a 100 person organisation could only need up to 20 lines. 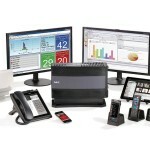 G2Connects amazing prices on line rental will make it easier and affordable for your business to set up your internal & external communications. 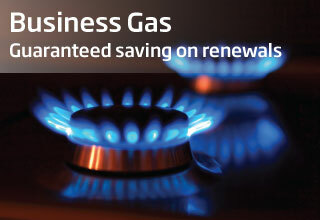 Our free Installation service means that you do not have to worry about those catchy overheads. Small telephone systems can be set up simply and quickly as long as the relevant amount of line sockets have been installed by your line provider, if you do not have a line installed don’t worry, G2Connect provides new line installations and line rentals at a competitive rate. If you would like more information about any of the models, suppliers or facts provided above, simply fill out the quotation form and we will give you full support to help you set up your communications.